Sergei Policknov was a Soviet physicist who worked on the nuclear program under Igor Kurchatov beginning in the late 1940s. In this brief interview he talks about the development of the Soviet nuclear program, and describes the feeling in the Soviet Union that building nuclear weapons was a natural reaction to World War II and an important part of Soviet national defense. He comments briefly on the role of pro-Moscow spies in helping the Soviet program. He then recalls the reactions of Soviet physicists after the successful explosion of their first atomic bomb in 1945. He also describes the research done to further develop the Soviet nuclear program in the early 1950s, including their work with hydrogen and uranium. Finally, he recounts an amusing tale and paints an admiring portrait of Dr. Kurchatov, the director of the Soviet atomic bomb project. 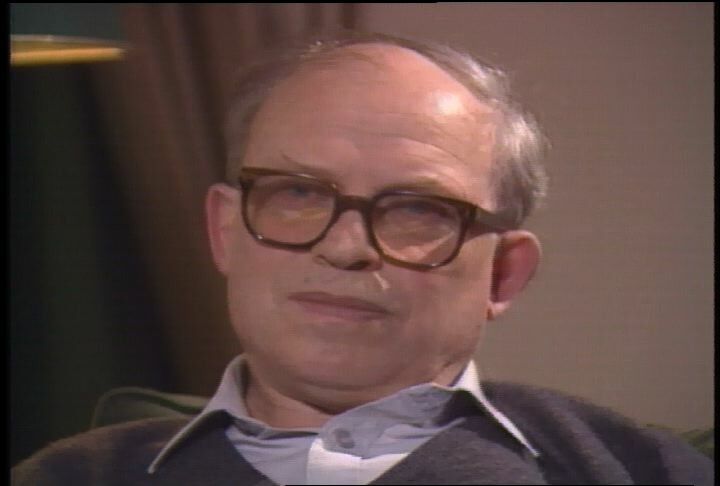 Chicago: “War and Peace in the Nuclear Age; Weapon of Choice, The; Interview with Sergei Policknov, 1986 ,” 03/16/1986, WGBH Media Library & Archives, accessed April 25, 2019, http://openvault.wgbh.org/catalog/V_BC797F6B04AB403E988CD9732F8F5CE7. MLA: “War and Peace in the Nuclear Age; Weapon of Choice, The; Interview with Sergei Policknov, 1986 .” 03/16/1986. WGBH Media Library & Archives. Web. April 25, 2019. <http://openvault.wgbh.org/catalog/V_BC797F6B04AB403E988CD9732F8F5CE7>.